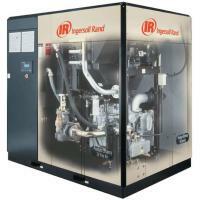 high-quality air you can rely on to avoid costly downtime and production delays. on-site installation work and operation and maintenance are simple. 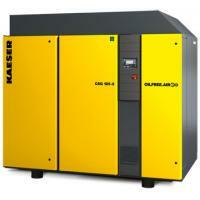 High reliability – A reliable supply of compressed air is essential for smooth and efficient production processes. High-end features and generous safety margins ensure high reliability and continuous production. Heavy-duty air filters remove dust and maximize the lifetime of parts for reliable operation. 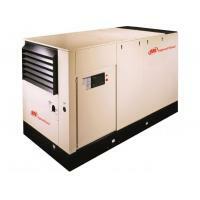 High efficiency – G 90-250 air compressors are designed to be highly energy-efficient. 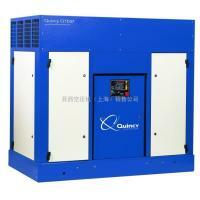 The superior screw element provides the optimum combination of maximum free air delivery and low energy consumption. 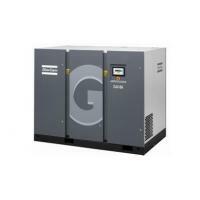 The state-of-the-art compressor element is powered by Efficiency class 1/NEMA EPAct electric motors, contributing to maximum package efficiency. 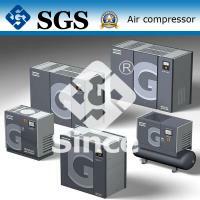 Easy installation, use and maintenance – G 90-250 compressors are truly plug-and-run machines. Installation, operation and maintenance are simple. Complex connections or in-depth technical knowledge are unnecessary. Just put the compressor on a flat floor, connect the power supply and the pipe connections and press the start button to run the compressor.